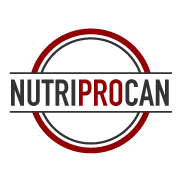 By checking this box, you agree to receive emails from NutriProCan relating to its services, invitations to events, updates and promotions. We value your time and we aim to email you only periodically. You may unsubscribe at any time. Are you a Registered Dietitian AND interested in entrepreneurship? Are you looking for balance with flexible work combined with support, systems, proven methods and connections? If you answer yes – Click for more info!